According to the latest report by Knight Frank, the private retirement market is estimated to reach a value of £44bn by 2022, reflecting a 50% increase. Knight Frank analysis found the number of private retirement living units is also forecast to increase by almost 30% in the same timeframe. There are currently more than 720,000 retirement units in the UK, 75% of which are social housing. However the market is evolving from predominantly publicly funded stock, with private development accounting for 54% of all new units delivered annually since 2000. Looking ahead to 2022, this is set to rise to 78% of total delivery. The market has evolved into two distinct types; later living with limited on-site care (70% of the market) and Housing with Care/Assisted Living with increased management and amenities (30%). Of those aged 65+ in the UK, only 0.5% are residing in housing with care schemes. This hugely lags behind the mature markets in the USA, Australia and New Zealand, which all exceed 5%. Looking at existing supply, assuming that 25% of over 65s would consider downsizing, the ratio of existing private retirement units stands at 62 homes per 1,000 population across England – or in broader terms 16 people who would consider downsizing for every existing unit. The lowest ratio is in the North East (25 homes per 1,000) and the highest in the South East (103 per 1,000). Three million retirement properties are required to house these people today, but with the number of people aged over 65 in England forecast to increase 20% to 12 million by 2027; this undersupply is set to grow. 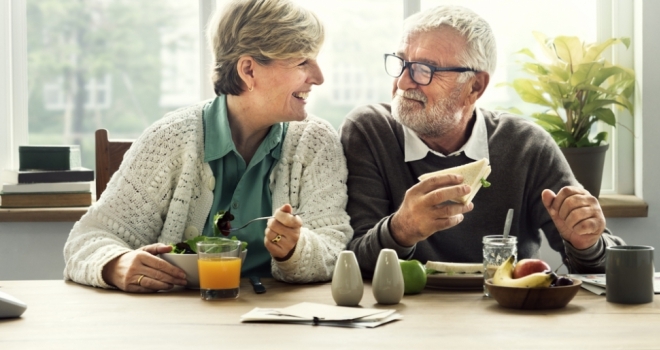 Tom Scaife, Head of Retirement Housing at Knight Frank commented, “Going forward we rapidly need every UK local authority to have a cohesive plan for the delivery of retirement living – so they can be held to account for meeting the needs of their constituents. The government has committed to help those at the beginning of the property ladder with initiatives such as the ‘Help-to-buy’ scheme and stamp duty relief for first time buyers. These initiatives and support should not be constrained to the beginning of the ladder – support should be available at all stages of the property life cycle.